British rapper knocks BlackBerry with "BB is Dead"
All right, it's not exactly like Jay-Z is making fun of BlackBerry. But it's still a bad sign when a rapper decides to devote an entire music video to dissing your product. British rapper GT Solo has made a music video, albeit not a great one, making fun of BlackBerry devices, and promoting the iPhone. The hook of the song is "BB is dead, gonna get the iPhone instead". And that pretty much describes the thrust of the song. GT Solo takes particular aim at BlackBerry's GPS, saying that you'll get lost when using it. He also makes fun of the browser, camera, and app selection. The good news for RIM is that "BB is Dead" will never become a hit. RIM recently admitted that their product line is aging, and there will be a product revolution of sorts, but this kind of 'press' can't help. This song would be better if it was "iPhone is dead, go get Android instead!" LOL...that should be a chartbuster! I sleep well assuming Kanye West - Monster is all about Android. "Aaaaaaaaaaaaah I'm a mother f*ck!n monster." GT Solo should continue to beat his meat Solo. What a looser. My guess is Apple hired one of the marketing companies that do those negative adds for those politicians and they are going around doing whatever they can to disscredit RIM...they are in a weekend state at the moment and companies like Apple are jumping all over it....oh and let's not forget Phonearena...Apple pays them as well...how else can every other phone and tablet not measure up to the iphone and ipad....lol...When I first started reading the comments on this site I noticed a lot of people saying that this site was full of Apple fanboy writers however as time goes on I am starting to see their point of vue...not cool PA...not cool....Many people read these reviews and a lot of them are only newbies and they expect to come here and get a non bias opinion...How can you call yourselves journalists? Maybe you should all move to North Korea....or any other Communist country...you would fit right in...Anyways...I feel bad for RIM...all this negative press is just uncalled for..
*Picturing Steve Jobs doing some break dancing to this song* Jay Z or not, this still isn't good for RIM. I wonder how british accent rappers sound like??? and what they rap about since their life is all tea and degrading other countries. Awww your taking pride in your Dump??? Correction* Wrong its not south London. Currently its Egypt. And after they settle down its still other countries that are in civil wars, drug cartels, ect. anyone believe they can sing these days.... Rap Died when I was 5 R.I.P. 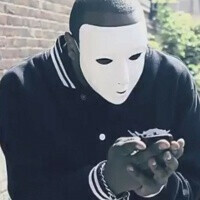 I think the Video clip has racial conatations I mean a bunch of Black rapping faggs wearing white boy masks? WTF? Hay, that's not a BB, it's an Lg on fire. Seriously? I work at a phone store and I can't even get THIS into phones. Ya'll need to get a real hobby. And GT Solo is a lyrical wordsmith approaching the genius of John Lennon and Jim Morrison. He is a weaver of dreams at the loom of the mind, who constantly makes vocal oragami. I will name my kids after him, all of them. Just to spite all of you.